We hosted a school-wide Day of Code at South Atlanta! As you can see it was quite a success. Click the links for pictures, lessons and a recap of our experience with a school-wide Day of Coding! The students of the Engineering II class proud of their "pre-game" practice. These "code-ambassadors" worked through a plethora of Hour of Code lessons in preparation for the big day. 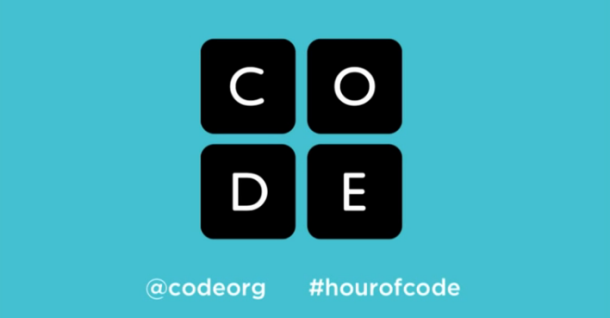 South Atlanta Computer Animation and Design hosted our first Annual Day Of Code on Wednesday, December 10, 2014. The two preceding days were spent preparing the students in each engineering class along with our Technology Students Association members to act as "Code Ambassadors." Each student completed at least two of the coding lessons ensuring that our team covered 20 different lessons. Most of the Ambassadors were able to cover 3 (some more) lessons before our day of code. The morning of the 10th we arrived to school extra early and began to set up as many extra work-stations as our school at-large could spare. Between a the engineering lab iMacs (26 units), a macbook cart (20 units), an iPad cart (20 units) and a satellite lab (28 units) we were able to service up to 94 students at a time. Fortunately we never needed to hit maximum capacity. We had students visit the lab in 4 different rotations that varied from 70 to 120 minutes. With the help of a few key staff members (Singleton, Robinson, Jefferson-Oliver, Barganier), the support of our Principal - Tracie Astin, some skilled negotiating by our Educational Technology Specialist - Jan Dickerson and with the willing participation of the entire faculty we were able to reach our entire student body in one day. We had a certified teacher in each lab and 10-20 student Ambassadors per class facilitating and encouraging student learning. It was a truly inspiring experience that was just as fun as it was educational! Click for Sample lesson plan!